Although Law as practiced in Rome had grown up as a type of case law, this was not the “Roman Law” known to the Medieval, or modern world. Now Roman law claims to be based on abstract principles of justice that were made into actual rules of law by legislative authority of the emperor or the Roman people. These ideas were transmitted to the Middle Ages in the great codification of Roman law carried throughout by the emperor Justinian (527-565). The Corpus Iurus Civilis was issued in Latin in three parts, The Digest, the Institutes and a textbook. Currently in the World there are just three widespread legal systems: the “Common Law” of the Anglo-American legal tradition, Islamic Sharia, and Roman Law [in, for instance, most of Europe, Scotland, Quebec and Lousiana]. Each was spread by different sorts of imperialism in the past. FIRST PREFACE. CONCERNING THE ESTABLISHMENT OF A NEW CODE. The Emperor Justinian to the Senate of the City of Constantinople. Those things which seem to many former Emperors to require correction, but which none of them ventured to carry into effect, We have decided to accomplish at the present time with the assistance of Almighty God; and to diminish litigation by the revision of the multitude of constitutions which are contained in the Three Codes; namely, the Gregorian, the Hermogenian, and the Theodosian, as well as in those other Codes promulgated after them by Theodosius of Divine Memory, and by other Emperors, who succeeded him, in addition to those which We Ourselves have promulgated, and to combine them in a single Code, under Our auspicious name, in which compilation should be included not only the constitutions of the three above-mentioned Codes, but also such new ones as subsequently have been promulgated. (1) Therefore, having in view the accomplishment of this extensive work, as well as the maintenance of the public welfare, We have chosen, as being competent for a task involving such labor and care, John, a most eminent man, Ex-Quæstor of our Sacred Palace, and of consular, as well as patrician dignity; Leontius, a man of the highest standing, an officer in the army, an Ex-Prætorian Prefect, of consular and patrician dignity; Phocas, a most illustrious man, an officer of the army, also of consular and patrician dignity; Basilis, a most excellent man, Ex-Prætorian Prefect of the East, and of patrician rank; Thomas, a most glorious man, Quæstor of our Sacred Palace, and Ex-Consul; Tribonian, a distinguished man of great authority, and invested with magisterial dignity; Constantine, an illustrious man, one of the Stewards of Our bounty, Master of Requests, and of Our Judicial Inquiries; Theophilus, a most eminent man, and one of the members of our Sacred Consistory, a Doctor of Laws in this Fair City; and Dioscorous and Præsentinus, most learned jurists of the Prætorian Tribunal. (2) To these We have especially entrusted the suppression of superfluous preambles, so far as this can be done without affecting the efficacy of the laws, as well as of such enactments as are similar or contradictory, and, in addition to this, the division of the laws; and it will be to the advantage to omit such as have fallen into desuetude, to give expression in concise terms to those which are included in the said three Codes, and in the New Constitutions, and to place them under suitable titles, adding and omitting portions of the same, and, indeed, changing their phraseology where convenience requires it. bringing under one head enactments which are scattered through various constitutions, and rendering their meaning clearer; so that the order of the said constitutions may appear not only from the days and the consulate when they were enacted, but also from their composition itself, by placing those primarily published in the first place, and those which follow in the second. And if any laws should be found in the three ancient codes without the date and the name of the consul, or if any new constitutions have been inserted among them, they should be so arranged that no doubt may arise with reference to their general application, in such a way that rescripts addressed to certain individuals, or originally issued by pragmatic sanction, may obtain the effect of general constitutions, where, for the public welfare, they have been included in a new code. (3) Hence We have hastened to bring these matters to your notice, in order that you may be informed to what an extent Our daily care is occupied with matters having reference to the common welfare, by collecting such laws as are certain and clear, and incorporating them into a single code, so that, by means of this code, designated by Our auspicious name, the citation of the various constitutions may cause decisions to be more readily rendered in all litigation. Given at Constantinople, on the Ides of February, during the reign and second Consulship of the Emperor Justinian. CONCERNING THE CONFIRMATION OF THE CODE OF JUSTINIAN. The maintenance of the integrity of the government depends upon two things, namely, the force of arms and the observance of the laws: and, for this reason, the fortunate race of the Romans obtained power and precedence over all other nations in former times, and will do so forever, if God should be propitious; since each of these has ever required the aid of the other, for, as military affairs are rendered secure by the laws, so also are the laws preserved by force of arms. Therefore, We have, with reason, directed Our attention, Our aims, and Our labors, in the first place, to the maintenance of the public welfare, and have corrected matters relating to the army in many ways, and thus provided for everything; as We have by means of old laws not only brought matters into a better condition, but We also have promulgated new laws, and by Our just administration, or with additional expense, We have preserved those already enacted, and afterwards by publishing new ones, have established them most firmly for the obedience of Our subjects. selected men conspicuous for their legal learning and ability, as well as for their experience in business, and tireless zeal for the interests of the State, We have committed this great task to them under certain limitations, and have directed them to collect into a single code, to be designated by Our auspicious name, the constitutions of the three ancient codes, namely the Gregorian, Hermogenian, and Theodosian compilations, as well as all those subsequently promulgated by Theodosius of Divine Memory, and the other princes who have succeeded him; together with such constitutions as have been issued during Our reign; and to see that any preambles which are not confirmed by subsequent decrees, and any constitutions which are contradictory, or should be suppressed, as well as such as have been repealed by others of later date, or which are of the same character — except those which, by conferring upon them Our sanction to a certain extent, We have considered to be susceptible of division, and by such division of these ancient laws some new principle may appear to arise. In addition to all this, many other matters relative to the composition of this Code have been placed by Our authority in the hands of these most wise men; and Almighty God has afforded this protection through Our zeal for the welfare of the State. (2) The following persons have been chosen for this work, and the completion of a task of such importance, namely: that most excellent man, John, Ex-Quæstor of Our Palace, and of consular and patrician dignity; as well as that most eminent man, Leontius, Ex-Prætorian Prefect, of consular and patrician dignity; and also the most distinguished Phocas, officer of the army, also of consular and patrician dignity; and that most accomplished man of patrician dignity, Basilis, Ex-Prætorian Prefect of the East, now Prætorian Prefect of Illyria; also, the most illustrious Thomas, Quæstor of our Sacred Palace and Ex-Consul; and the eminent Tribonian, of exalted magisterial dignity; the distinguished Constantine, Steward of Our Imperial Largesses, Master of Requests, and of Judicial Inquiries; Theophilus, former magistrate and Doctor of Laws in this Fair City; as well as those most learned jurists, Dioscorus and Præsentinus, members of your bar; and all that We have directed them to do, they with God’s assistance have, through assiduous and untiring industry, brought to a successful conclusion, and offered to Us this new, systematically arranged Justinian Code, compiled in such a manner as to contribute to the common benefit, and meet the requirements of Our Empire. of the said constitutions of Our Code, with the opinions of the ancient interpreters of the law, will be sufficient for the disposal of all cases. No doubt as to their validity should arise where any of them appears without a date and without the name of the consul, or because they may have been addressed to certain private individuals; as there can be no question whatever that all have the force of general constitutions; and even if there should be some of them from which anything has been taken, or to which anything has been added, or which have been changed in certain respects (which We have specially permitted the most excellent men aforesaid to do), We grant to no one the right to cite the said constitutions, as they are stated in the books of the ancient authorities, but merely to mention the opinions of the latter, as being of legal effect when they are not opposed to the constitutions of this Our Code. (4) Moreover, the pragmatic sanctions that are not included in Our Code, and which have been granted to cities, corporate bodies, bureaus, offices, or private individuals, shall remain in every respect valid, if they concede any privilege as a special favor; but where they have been promulgated for the settlement of some legal point We direct that they shall only hold when not opposed to the provisions of Our Code. But in any matter which comes before your tribunal, or in any other civil or military proceeding, or in one which has reference to accounts forming part of the public expenses, or in such as have any relation to the public welfare, We decree that they shall remain valid as far as public convenience may require this to be done. (5) Therefore let your illustrious and sublime authority, actuated by a desire for the common good, and with zeal for the execution of Our orders, cause information of this Code to be communicated to all peoples, by the promulgation of an edict in the customary way, and by sending into each province, subject to Our Empire, a copy bearing Our signature, so that in this manner the constitutions of this Our Code may be brought to the knowledge of all persons; and that during festival days, that is to say, from the sixteenth day of the Kalends of May of the seventh current indiction, and during the consulate of that most illustrious man Decius, citations of the constitutions shall be made from this Our Code. Given at Constantinople, on the sixth of the Ides of April, during the Consulate of the illustrious Decius. CONCERNING THE AMENDMENTS OF THE CODE OP OUR LORD JUSTINIAN, AND THE SECOND EDITION OF THE SAME. Our heart, Conscript Fathers, always induces Us to pay the strictest attention to matters concerning the public welfare, so that nothing which has been begun by Us may be left imperfect. Therefore, in the beginning of Our reign, we formed the design of collecting in a single body the Imperial Constitutions which were scattered through several volumes, and the most of which were either repetitions or conflicting, and free them from every defect. This work has now been perfected by certain most distinguished and learned men, and has been subsequently confirmed by Us, as is shown by Our two Constitutions prefixed hereto. (1) But after We decreed that the ancient law should be observed, We rendered fifty decisions, and promulgated several constitutions relative to the advantages to be derived from the proposed work, by means of which the majority of the former enactments were amended and abridged; and We divested all the ancient law of superfluous prolixity, and then inserted the same in Our Institutes and Digest. (2) But, as Our new decisions and constitutions, which were promulgated after the completion of Our Code, were distinct from the body of the same, and seemed to demand our care and attention, and as some of them, which were afterwards inserted, appeared to require alteration or correction, it seemed to Us necessary to have the said constitutions revised by that eminent man Tribonian, Ex-Quæstor and Ex-Consul, the authorized minister of our work; and also by the illustrious Dorotheus, Quæstor and Doctor of Laws of Berytus; and, in addition to these Menna, Constantine, and John, most eloquent men, and distinguished advocates of the bar of this City, who were ordered to divide said constitutions into separate chapters for the purpose of rendering them more available; to place them under proper titles; and to add them to those constitutions which had preceded them. , (3) We permitted the aforesaid distinguished and most learned jurists to do all these things, and when there was need of any correction, allowed them to make it without hesitation, relying upon Our authority; and where any of the constitutions were superfluous, or had been annulled by any of Our subsequent decrees; or where they were found to be similar or conflicting, to remove and separate them from the compilation of the Code itself; as well as to complete such as were imperfect, and to bring to light those that were shrouded in obscurity, so that not only the way of the Institutes and the Digest might appear clear and open, but also that the splendor of the Constitutions of Our Code might be manifest to all, and no constitution which resembled another, or was contradictory or useless, should be retained, and no one should have any doubt that what was confirmed by the revision was both valid and sufficiently perspicuous. For, in the ancient Books, the authorities of former times not only called the first, but also the second editions, revisions; which can be readily ascertained from the works of that eminent jurist Ulpianus, on Sabinus, by those who desire to know. with the first, but as it was revised; and, by Our authority, We directed that it alone should be used in all tribunals, whenever the Divine Constitutions were applicable, from the fourth day of the Kalends of January of the most auspicious Consulate of Ourself and that illustrious man Paulinus; and that no constitution not contained in this Our Code should be cited, unless in the course of events some new question may arise which requires Our decision. For, if something better should be found hereafter, and it becomes necessary to revise a constitution, no one will doubt that We should do so, and incorporate into another compilation those laws which are designated by the name New Constitutions. (5) Therefore, having repeated Our order that We shall permit none hereafter to quote anything from Our decisions, or from other constitutions, which We have previously promulgated, or from the first edition of the Justinian Code; but that only what may be found written in this Our present purified and amended Code shall be regarded as authority, and cited in all tribunals, We have ordered it to be transcribed without any ambiguity, as was done in the case of Our Institutes and Digest, so that everything which has been compiled by Us shall be clear and intelligible, not only in the chirography, but also in the laws themselves, although on this account the matter contained in this Code has been considerably extended. (6) Therefore, Most Reverend and Illustrious Fathers, in order that Our labors may become manifest to you and obtain authority through all time, We have presented this collection of laws to your most distinguished Order. Given at Constantinople, on the seventeenth day of the Kalends of December, during the Consulate of Our Lord Justinian, for the fourth time Consul, and of Paulus. TITLE XXXVII. WHERE A DECURION, HAVING LEFT THE CITY, PREFERS TO RESIDE IN THE COUNTRY. 1. The Emperors Arcadius and Honorius to Eutychiamis, Prx-torian Prefect. We order that all decurions shall hereby be warned not to leave or abandon their cities for the purpose of residing in the country, and they are notified that the land which they preferred to the city shall be confiscated to the Treasury, and that they will lose the property on account of which they have manifested such a neglect of duty by evading their civil obligations. Given at Constantinople, on the eighteenth of the Kalends of January, during the Consulate of Arcadius, Consul for the fourth time, and Honorius, Consul for the third time, 396. TITLE XXXVIII. CONCERNING THE CITIZENS OF TOWNS AND NATIVES. As you allege that you are a native of Byblius, and a citizen of Berytus, it is but reasonable that you should be compelled to perform your municipal duties in both cities. 2. The Emperor Gordian to Frontonus. If (as you state) she who manumitted you under the terms of a trust, and from whom you obtained your lawful freedom, derived her origin from the province of Aquitania, you also are of the same status, and a citizen of the same city as she who manumitted you, for it was long since decided that persons who have been manumitted under a trust follow the condition of those who actually gave them their liberty, and not that of those who requested that it be granted. It is a well-established rule of law that sons can be compelled to accept offices and discharge civil duties, not in the city where their mother derived her origin (provided they have not retained their domicile there), even though they themselves may have been born there, but in the city of their father’s birth. 4. 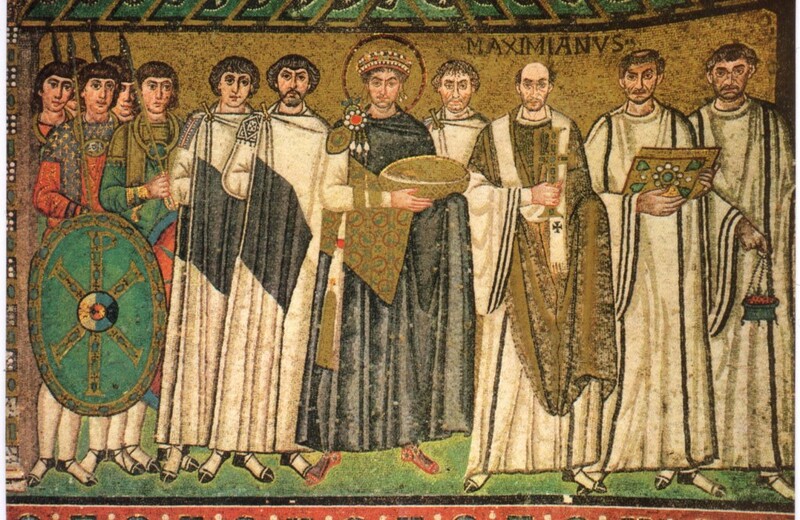 The Emperors Diocletian and Maximian. It is clear that no one can, merely by his own will, renounce his origin. 5. The Emperor Constantine to Maximm, Vicegerent of the East. Where anyone who is a native of a large or small town desires to leave it, and become the resident of another, and attempts to offer a petition to Us praying for permission to do so, or is guilty of any other fraud in order to avoid the duties he owes to his own city, he shall be subject-to the burdens of the decurionate in both the cities aforesaid; in one, on account of his choice, and in the other, on account of his origin. Published on the eighth of the Kalends of January, during the Consulate of Paulinus and Julian, 325.